The Doctor and his companions often venture forwards in time, into the far future of humanity, where spaceships ply the stars and adventure can be found on even the smallest moon. But what about backwards? To a time before there was any humanity, to a time when the Earth was roamed by dinosaurs and another species laid claim to it: the Silurians. This supplement for the Doctor Who: Adventures in Space and Time RPG contains rules and background for visiting prehistoric Earth, including stats for all manner of different dinosaurs. 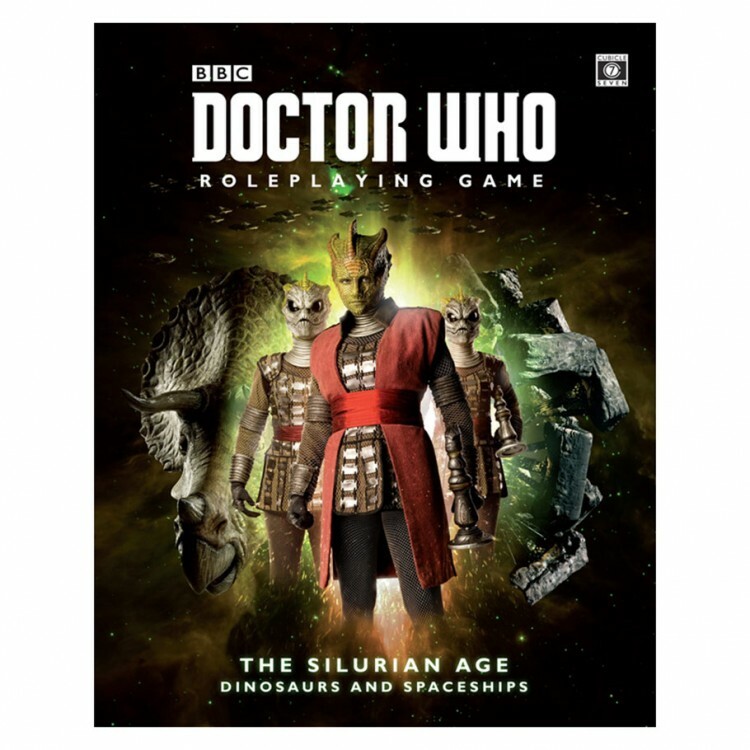 It also contains an in-depth look at the Silurian race, including a ready-made Silurian city to visit. But that`s not all! It also contains a complete set of spaceship rules, including rules for Silurian Arks, for when you want to combine both dinosaurs and spaceships in an adventure!